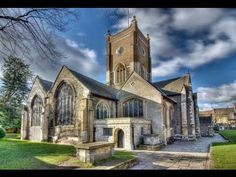 On the 17th July, 7.00pm at All Saints Kingston, the Tiffin Boys’ Choir perform Music for an English Coronation, an evening of music either performed at coronations, or music that perhaps could have been! The programme spans several centuries from Handel to Walton, featuring classics such as Parry’s I was glad and Britten’s Rejoice in the Lamb. A concert not to miss! This concert heralds the end of the Choirs 2017/2018 season which has seen them perform at the Royal Opera House, with the Philharmonia, Sir Simon Rattle and London Symphony Orchestra and a recording project with Dunedin. It precedes the choir recording An English Coronation with the Gabrieli Consort and Players at the end of the July. Tickets are £10 (£5 for FoTM members) and can be bought on the door or reserved in advance from Fleur Smith (fsmith@tiffin.kingston.sch.uk). The Tiffin Boys’ Choir is supported by Russell-Cooke solicitors for their 2017-2018 season.